Finding a balance between loving and indulging kids can be tricky. Here talks about the problems and solutions…. Nozi may seem like the spoiled child because of the outfits she receives, but in fact, it is Thuli who shows the demanding, entitled, self-centred behaviour of the spoiled brat. And as is often the case, her mother is indirectly encouraging this behaviour by giving in to her. A survey by American psychologist suggests that 60% of parents spoil their children, and although there have been no studies locally, “it seems a growing problem”. Most parents spoil children out of love. “We want them to be happy and to have the things we didn’t have. Some women in bad marriages also turn to their main sources of affection and spoil them to ‘buy’ this love. We live in a highly materialistic world, where the role models we and our children are exposed to celebrate conspicuous consumption. Social pages, reality shows and tweets are packed with sushi-partying, designer-clad politicians and soap stars flaunting flashy cars and lifestyles. Young people are specifically targeted in some TV programmes such as My Super Sweet 16, in which US and UK youngsters compete in throwing the most extravagant parties – arriving in carriages and helicopters, sporting designer threads and treating guests to top entertainers and trendy catering. Giving children whatever they want and doing everything for them deprives them of a sense of achievement and confidence this brings. “Eventually, their self-esteem will be affected and they will not reach their own potential.” They tend to demand more and become less appreciative. 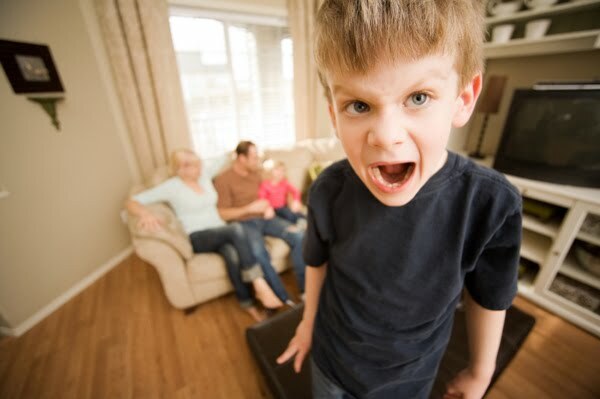 Indulged children are not only unpleasant for our families and friends to handle, but they often hurt inside. Children need the security of loving limits, and can feel afraid of their parents stand up to them. Their behaviour is often a way of testing how far they can go, and letting them get away with it leaves them feeling less loved. “Spoiled behaviour affects their schooling and social lives, as teachers and other children resent them and they battle to make friends. As adults, they are more prone to lack of control, anxiety and depression, and to abusing substances to escape this. They often struggle with anger management, and their professional life and personal relationships suffer”. Some parents believe that by responding whenever their baby cries, they are setting them up to be spoiled brats. But crying is their only way of showing that their needs (for food, warmth, comfort) are not being met. By responding you build a relationship of trust and attachment, showing them you care and making later brattishness less likely. From about 18 months, toddlers are exploring and becoming more independent; they need guidance and limits. Start by giving them choices that are equally acceptable to you. Sometimes children whine or throw tantrums because they are sick, tired, hungry, in an unfamiliar place, stressed or afraid. They may also be victims of bullying or abuse, or may be tensions or illness at home. If your child is normally well-behaved, show them empathy and calmly ask what is wrong. Give them extra time and affection. Children who act out may also have medical conditions such as ADD (attention deficit disorder) – take them to a doctor or psychologist for an assessment. Is It Ever Okay To Spoil? Set clear, reasonable limits. “Boundaries let children know what’s expected of them and gives them security, showing them you care”. Don’t give in to whining or tantrums. But don’t over-react either, as children may value even negative attention. Ignore them. Stop over-protecting and rescuing children. Dropping off their lunch box when they’ve forgotten it or finishing their projects teaches bad habits and again deprives them of a sense of independence. Let them learn by taking the natural consequences. “they will learn to be responsible and grow from their mistakes”. Don’t just give them what they want. “Get them to contribute by doing chores and saving so they can learn gratitude and the reality that things won’t always come easily in life”. Help them experience the joy of giving. Encourage them to pass on old toys or clothes to teach empathy. Rude to you and other adults. Insists on being first in line or coming first. Bossing others and wants their own way. Doesn’t answer you or ignores instructions. Is physically aggressive or destructive. Is unable to delay gratification. Manipulate with whining, tears or comparative tales.